PRESIDENT Edgar Lungu has directed the police to arrest cadres who are in the habit of locking civil servants’ offices whenever aggrieved. President Lungu said he was not going to tolerate such kind of indiscipline by Patriotic Front (PF) cadres and ordered Home Affairs Minister Stephen Kampyongo to see to it that police, whom he is in charge of, arrested the situation. Meanwhile, Police have said that they are not afraid of PF cadres. The Head of State said this when he addressed PF members and civil servants in Kalalantekwe area of Shiwang’andu District during his recent visit to Muchinga Province last week. “Discipline is very vital and it’s very, very important, because without discipline, the party will not survive. Therefore, my colleagues in the party, if you have issues with the civil servants, channel them through the party, you have the provincial chairman who will make sure that the process is followed. “I don’t want to hear stories of people going to lock up an office of a Permanent Secretary, going to lock up an office of a DC (District Commissioner) or any leader, I will deal with you. I will ask the Minister of Home Affairs, who is your (Shiwang’andu) MP, through his policemen, to deal with you,” President Lungu said. 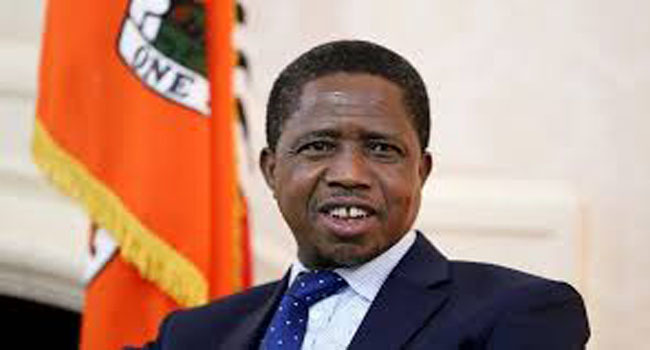 Mr Lungu said as Head of State and PF president, he was in charge of both the civil servants and the party and thus locking up the an office of a Permanent Secretary or District Commissioner was tantamount to doing so in his office. President Lungu said dialogue was the only amicable way PF members and civil servants could resolve their differences for them to ensure that the Government delivered according to what it promised the country. He also reiterated his appeal to all civil servants to ensure that operated in line with PF manifesto and the Seventh National Development regardless of their political affiliation as failure to adhere to that directive then they would be at variance with him or the Government. Meanwhile, the Zambia Police Service has said that it was not afraid of PF cadres. Police spokesperson Esther Katongo said the service was not afraid of PF cadres and did not receive instructions from politicians. Ms Katongo said this in reference to the incident that happened at the Lusaka Central Police Station on Tuesday last week at which police officers fired teargas to disperse political party cadres that clashed at the station. This was when the National Democratic Congress (NDC) consultant Chishimba Kambwili reported to the station with his supporters. The NDC supporters then clashed with suspected PF cadres and two people were injured in the fracas while three NDC supporters were arrested. Ms Katongo said police served a sitting Government and not the ruling party. She said police had on many occasions arrested PF cadres and that was an indication that it was an objective institution. “We are not afraid of PF cadres, why should we be afraid of PF cadres who are they?’’ she said. Ms Katongo said this during an interview on Hot FM morning breakfast show recently. Earlier on the same programme, NDC spokesperson Erick Chanda said that he identified some of the attackers as PF members and knew them well. 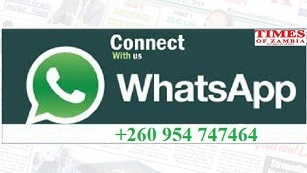 And PF Deputy Secretary General Mumbi Phiri said the PF did not condone violence.